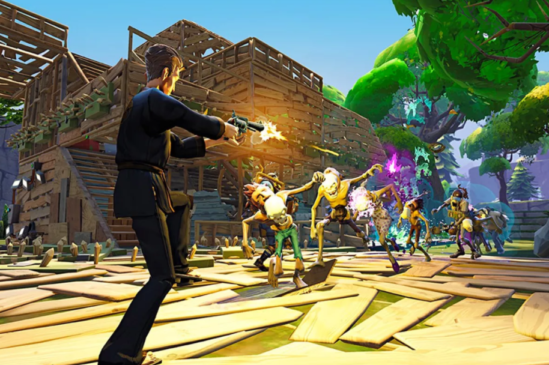 Fortnite is an online MMO where you defend objectives from a horde of Husks, or undead/alien looking creatures hellbent on your destruction. The main goal is to build yourself a massive fort where you can fight back and defend the objectives from. Whether you’re playing alone or with friends, you’re placed into a randomized map that is always different in some way. Each map is procedurally generated as well as the objectives in those maps. The game is available for Early Access now, but won’t be free to play until 2018 when it officially launches. 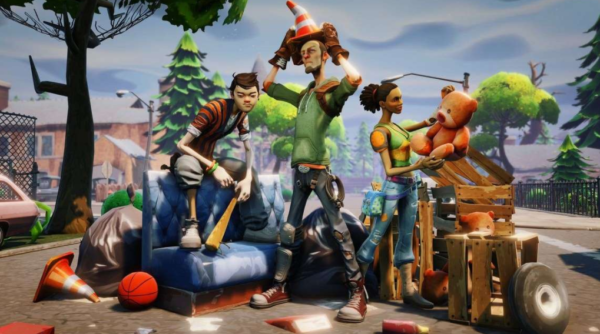 Overall Fortnite is a great Anti-zombie game to play with a bunch of friends and to show off your creative skills by building an impenetrable fort! There are several characters you get from the start and over a dozen more that you’ll unlock as you play the game. Similar to a tower defense type game, you’re pretty much just protecting set areas on a very large map from a horde of creatures but it’s much more indepth than just that. So, lets talk about what Fortnite is all about! So to start off, you’re able to choose from roughly 8 characters. Each of these have their own combat roles to play for the team you’ll be a part of. The characters are all rag tag and don’t look like much of defenders at all, but rather ordinary people tossed into this strange situation that needed to adapt quickly. This adds a certain appeal that makes the game more enjoyable in my opinion. Not everyone is always that ace sniper. As such, their starting equipment is a bit on the lower end of things…such as the option to use frying pans as your weapon of choice. 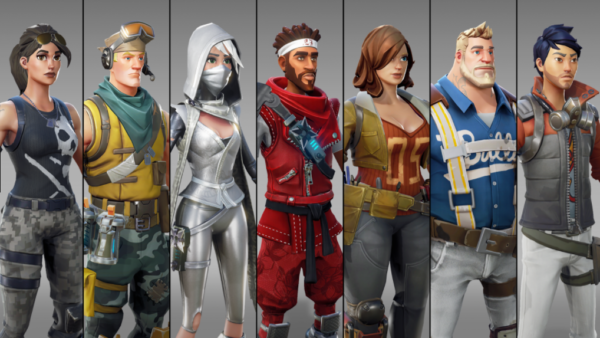 Each character’s role can range from the typical soldier type, capable of a bit of everything without any special weapon, the sniper, a long ranged shooter capable of extremely hard hits at a lower firing rate, the medic, someone capable of aiding another’s health pool so they can survive that next punch, all the way to a mechanic who specialized in building those forts you’ll be needing. While everyone can pretty much do everything, certain roles excel in their field of course. It’s best to make the team of the best composition, while at the same time playing what you know and enjoy. After all, it is a game to have fun in. Each map seems to play off in a number of phases from looting to building to fighting off the hordes and defending the objectives. Lets talk about the looting phase. Similar to a lot of survival games, you’re able to freely roam the large map you’re placed in with each round. You may find caves, mountains, airdrops, chests, and so on. Everything has a purpose, whether it’s for building traps or using for ammo to fuel those fancy gadgets. You’ll go around looting whatever you can find, hoping to get your hands on those epic drops. You can sometimes even find legendary weapons that are capable of insane damage! But most likely, you’ll find nuts and bolts and be cutting down trees and stone to gather up those mats for building later. This is likely how your first few rounds will start, with the better equipped and knowledgeable players looting the good stuff. Either way, all loot is useful in the end, and as you level up, you too will be able to get some great loot. This even goes for new outfits and sometimes new characters to play as if you’re lucky! As you’re running around looting, you’re female companion will try to direct you to the objectives you’ll eventually have to defend. Sometimes this involves you rushing to stop a horde from entering the world or protecting epic airdrops from invaders who want to steal what’s inside. The objectives are completely randomized and will eventually lead you to the main goal, usually protecting a very large machine or vehicle from the main hordes. Each objective has its own rewards, and what you get depends on how well you do in the event that plays out. To get the best items, you’ll want to be the most helpful team player, going in solo doesn’t cut it on these! 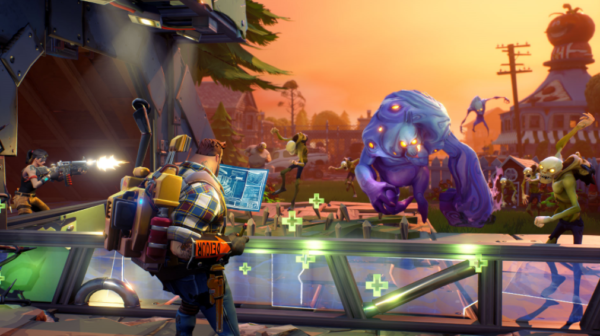 There are also a number of other events around the map that you’ll be able to do as well, such as jumping your way through a puzzle to reach a chest while the rocks fall apart below you, or racing through an area, or even just building turrets and defending a spot for a small amount of time. The best part is, you never really know what you’re going to get, so each round is completely different than the ones before it. Whether you’re the trap master, or creative architect who builds things strategically, you’ll eventually have to defend that main goal. 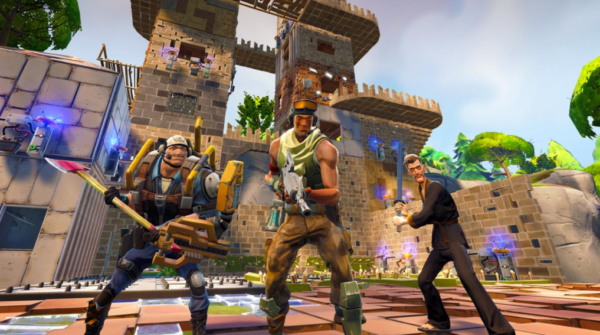 Working with your team, you’ll all build a fort capable of protecting the main objective, as well as sometimes fighting back against the horde itself. Yes, that’s right, you can place down a bunch of turrets to do the job for you if you like. The building system is a lot like survival sandbox games, where you place the structures piece by piece using a socket based setup. You can then place in doors and windows by deleting the squares where you want them to be (essentially allowing you to make unique doors and windows too or even half walls!). Basically, you design the walls before finalizing them, so be creative with it! Keep in mind though, that the main idea is to protect the big object behind those walls, so layering them with traps might be the best way to defend it. Or, you could just place down a lot of spikes that will destroy anything trying to reach it long before they can even get close. That works in most cases, except when they bring in their siege husks that will launch fireballs from a long way away. Depending on how you build your fort, you can funnel the enemies through a maze like a traditional tower defense game, mow them down with a row of turrets, or just defend it yourself with your weapon of choice. Everything you know will be tested as they through hordes of hundreds of husks at your fort. This is where things become chaotic and sometimes overwhelming. The husks will come from every direction, either ground or air. Some will be tiny and easy to kill, while others will be titans and take everything you have to take them down as they’re smashing everything you built to the ground. Once you find what you’re good at, keep at it and you’ll do fine. I personally am a soldier type who does a bit of everything while placing down a couple turrets to help defend each part. Even if you’re not good at directions, the female companion will let you know where they’re coming from, and the map will be marked as well. Fight the horde off, and achieve victory! Rewards await your success. While I only really touched on the main parts of the game, there is a lot more to do, and several game modes to play through. If you’re a survival game player, and love the idea of a tower defense style sandbox, this is your jam! 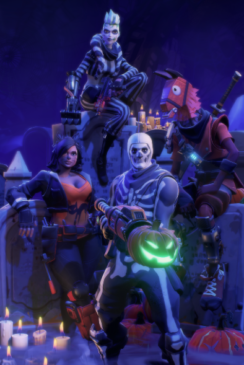 Defending a fort created through absolute teamwork, fighting off hordes of husks of all shapes and sizes, and looting everything you can find; what can possibly go wrong? Sometimes the titans can be difficult, and if your fort isn’t protected by enough traps, it will fall. Working as a team is how you really accomplish the best results, and making your own role is the most enjoyable part of the game. So, whether you want to be that onion knight wielding a literal onion on his head, or the gun maniac with 4 loadouts to blast the husks with, you can build each character through a number of equipment and skill combos. The more you play, the more you can do. If you find good weapons and achieve victory in a round, you can possibly get those weapons to keep. Overall the game is smooth and there’s a lot to do once you’re passed the first few levels. If it sounds like something you’d enjoy, I highly recommend checking it out!